Then the anonymous phone calls start: a stranger, making accusations and threats that suggest she and Justine share a traumatic past - yet Justine doesn't recognise her voice. When the caller starts to talk about three graves - two big ones and a smaller one for a child - Justine fears for her family's safety. If the police can't help, she'll have to confront the danger herself, but first she must work out who she's supposed to be.. I was a bit disappointed with this one. 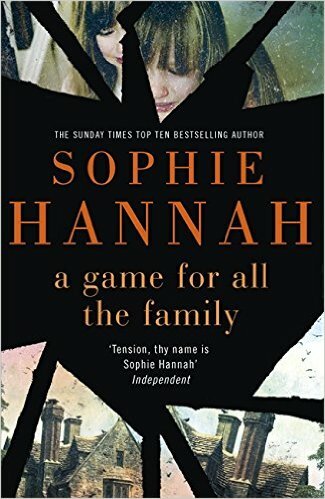 I have had Sophie Hannah on my radar for a while and this was the first book of hers that I have read. The idea was good but I didn't like any of the characters. Justine just seemed to charge about everywhere swearing her head off; her husband, Alex, travelled a lot as an opera singer and to be honest I didn't notice whether he was there or not most of the time; and her daughter, Ellen, was a bit of a silly sulky teenager. I struggled with the chapter numbers of the story that Ellen was writing being out of sync with the chapters in the book - I'm odd like that! I did quite like the story that Ellen was writing about the family called the Ingreys - they were much more interesting than the Merrisons. 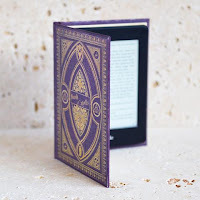 Ellen's story was quite dark at times and gave a Victorian gothic type feel to the book. The book did get more gripping towards the end as the mysterious Anne Donbavand appears and we approach the final showdown - although I was expecting someone a bit more scary than crazy. Although I wouldn't particularly recommend this book, I will still look out for some other Sophie Hannah books.